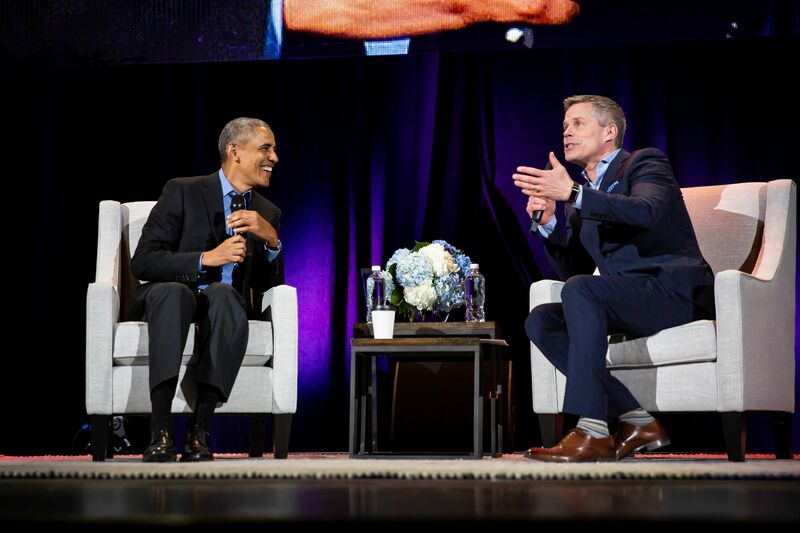 Alot of you have emailed or come up to me to talk about my interview with President Obama a few weeks ago. Many of you commented on the Jarome Iginla story I ended the interview with. A few of you asked if the Jarome Iginla story was made up on the spot, or if I had written it in advance. Well, no and yes. I had the idea about a month before, wrote a version – but it felt a bit too on the nose. Too much, “Hey, we know someone who had an African father too…” Then I tried a couple of jokes. 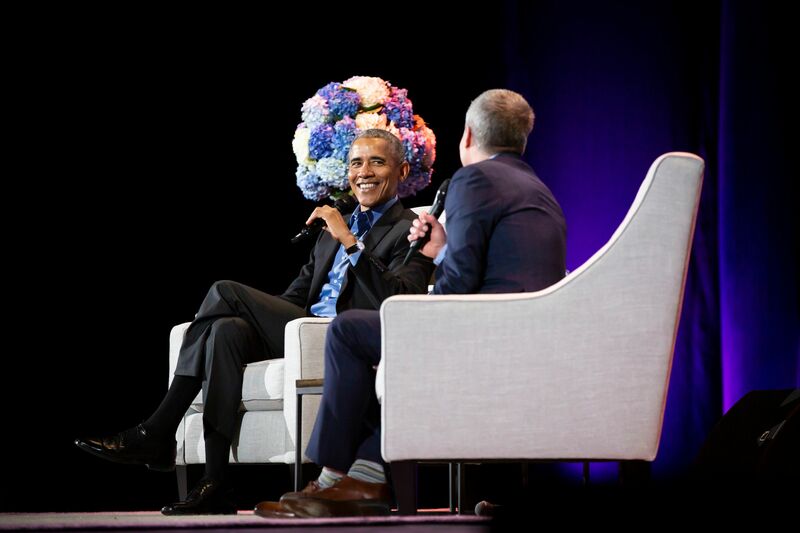 (“… story gets a bit awkward…” and “… you can dream Mr. President.”) and that really helped. The only part I made up on the spot: I wondered if I asked the audience what Sidney Crosby yelled, would anyone yell out “Iggy!” They did. Thank God. 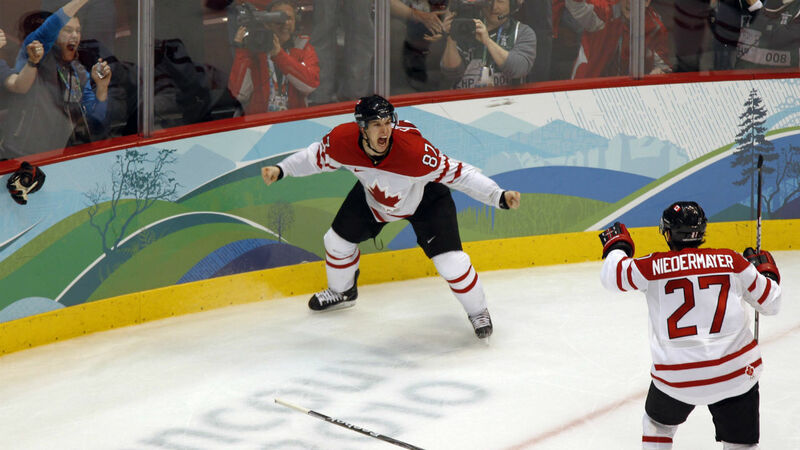 The most watched television event in Canadian Broadcast history happened during the 2010 Olympics culminating in what we call the “Golden Goal.” It was overtime in the gold medal men’s hockey game between Canada – and this is where this story gets a bit awkward – and the United States. But bear with me for the story. Everyone in the country can remember the visual of Sidney Crosby scoring, throwing his gloves in the air, and a nation screaming. Now everyone in this building will tell you exactly what that meant – Jarome Iginla dug the puck out of the corner and fed Crosby. Iginla – a Nigerian name that means “ Big Tree.” The name of his father who came over from Africa and moved to Canada and married Susan in a town just north of Edmonton called St. Albert. Jarome Iginla grew up loving hockey, loving it so much he tried not to notice the people who said he had no business in hockey – a boy with an African father – but Jarome Iginla loved hockey so much he went on to become one of the greatest, toughest, kindest hockey players in NHL history. Now it would be presumptuous to imply there is any comparison between being The President of the United States and being a Calgary Flame, but you can always dream Mr President. However, there are kids in Canada who a decade or two ago might not have thought they could strive for hockey greatness because they looked different or didn’t fit the mold of what they thought a hockey star should be. Just like Cassie Campbell and Hailey Wickenheiser showed that it doesn’t matter if you’re a girl – you can skate just as fast as the boys can. But we know what it means to have an example of excellence, of resilience, of courage and strength. 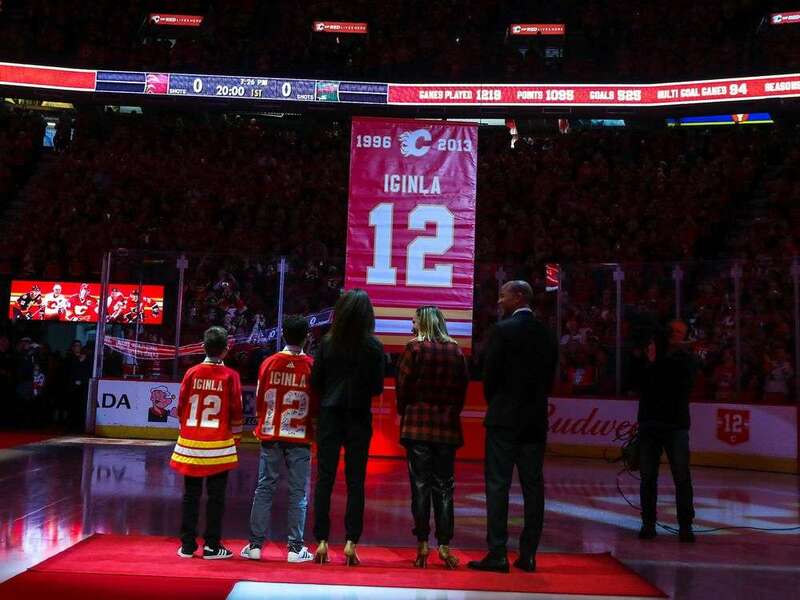 We grew to love Jarome Iginla so much, that man with the African father and Canadian mother, that just a few days ago, we raised his jersey right up there to the rafters.